Thank You Amazing 2018 Sponsors! Navigating MS, ALS, BH and Palliative Care"
Full Conference 7:45 am to 4:00 pm ~ Attendee check-in at 7:45 a.m. Exhibitor Fair 7:45 am to 1:00 pm ~ Exhibitor check-in at 6:30 a.m.
Are you a health care company or business that is interested in networking with medical case managers and other health care professionals? Are you looking for an effective way to put your services or product in front of Case Managers, Nurses and Social Workers? Are a health care employer or job recruiter seeking to network with WA Case Managers for career opportunities? We want you to be a Partner In Case Management Exhibitor at our WMCMA Annual Fall Conference & Expo 2018! Your company logo and link to your company website featured as the Event Sponsor on the WMCMA website for One Year. We have a limited number of tables for charitable nonprofit organizations to exhibit at our event at a large discount - $250 registration fee. Must be a 501 c 6 charitable organization to get this rate. Have attendees flock to your booth by putting together an educational poster. We will be offering 1.0 CE to attendees who visit your booth and complete the poster requirments during the exhibitor portion. Check the poster presentation box on the registration page and we will follow up with you with simple instructions and to answer any questions. Poster Presentations are limited to 10 posters for this event. Reserve yours now! We expect 130 - 150 attendees and 65 exhibitors. Most exhibits will be in the same large conference space as the conference itself. To request a booth in a separate exhibit space outside the conference room, email contactwmcma@gmail.com. Please see the Conference Schedule to the left for details of the day's events. Giveaways: Giveaways will be done during the lunch hour at the conference. Many exhibitors choose to bring a gift or basket as a prize giveaway item and you are welcome to do that. It is not required but it is a fun way to collect attendee business cards. We will have a specific time for giveaway announcements where you can bring up your item up to the stage, take a few seconds to introduce yourself and your company and announce the winner. You will draw a name for your basket from the cards you have collected. REGISTRATION IS REQUIRED FOR ALL EXHIBITORS. Payment is due at time of registration either by credit card or commitment to send check payment. Space is limited to 65 exhibitors and we do fill up, so register early to reserve your space! 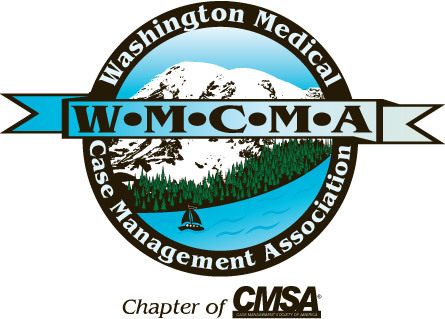 Contact WMCMA at (425) 329-9456 or email us at contactWMCMA@gmail.com if you have any questions. We look foward to see you there! Cancellation policy: If you cancel by Thursday, September 27, 2018, a full refund minus a $30 processing fee will be issued. No refunds can be given if you cancel after September 27, 2018 or don't show at the event unless you or we can find another exhibitor at the last minute to take that spot.